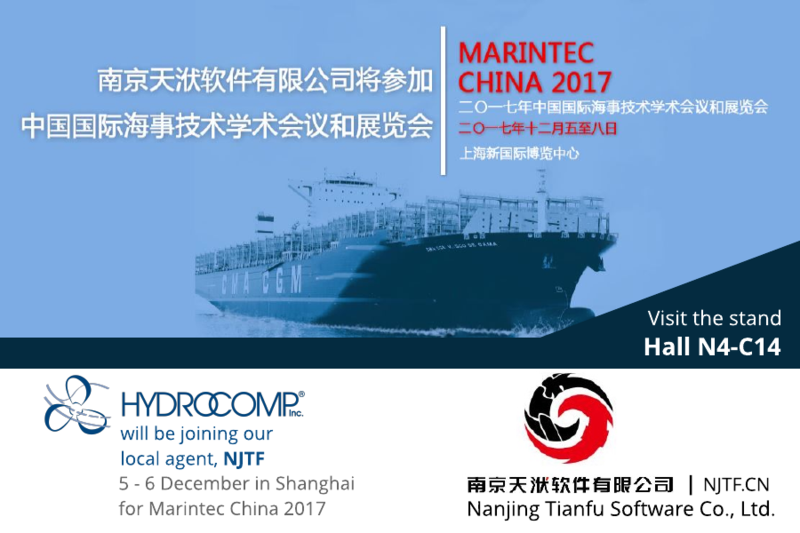 HydroComp, Inc. will be in Shanghai 5-6 December for MARINTEC CHINA 2017 – the all China Maritime Conference and Exhibition. We are delighted to once again be in Asia to meet customers and continue building our network. If you are attending the show, contact us to make an appointment for a personal software demonstration and to learn more!